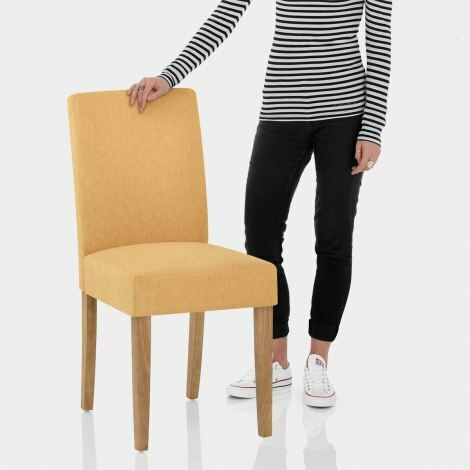 Presenting itself as a stylish presence in the kitchen, dining room, and elsewhere, the Austin Dining Chair Mustard is not to be missed. Smart and sophisticated, this design combines classic and contemporary elements for a charming effect. 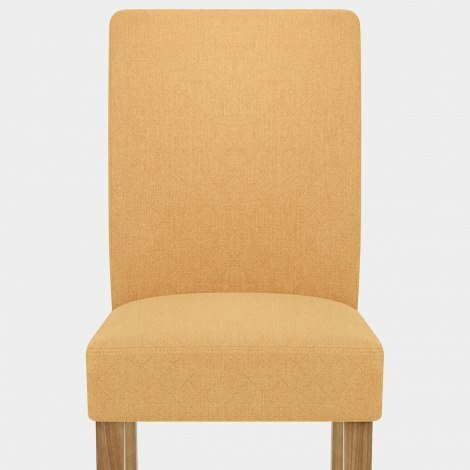 A fashionable mustard fabric upholsters the seat and features a unique diamond design for a subtle detailed look. Additionally, the padded seat is sprung and belted to offer a comfortable experience and is enhanced by the tall backrest. Crafted from durable solid wood with a polished oak finish, the four legs form a sturdy structure for the seat. Your floors will also maintain good condition with the inclusion of protective floor plugs on the underside. "The colour is just what I expected"
I am really pleased with my 4 dining chairs. The colour is just what I expected and they are good value for money.